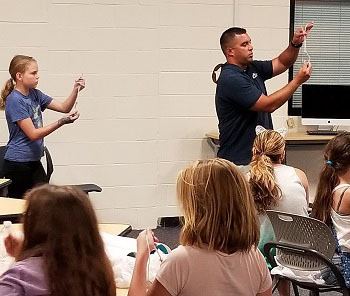 For the fourth straight year, IGFA Representative from New Jersey Gene Nigro has spearheaded a youth fishing and education clinic that focuses on introducing kids to fishing and educating them on the importance of ethical angling practices and environmental stewardship. This year, Nigro partnered with Jeff Johnson from Keansburg schools and the organization Father Time. The classroom portion of the two-day clinic was held on Saturday, August 4, 2018 and featured several local environmentalists, charter captains and IGFA Representative from New Jersey David Matagiese. 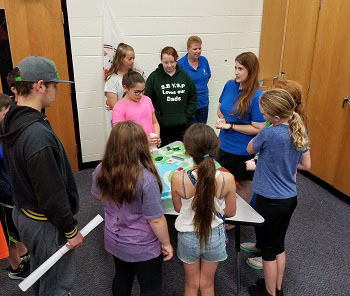 The clinic focused on important marine and fisheries management topics such as tag and release, ethical angling, advanced fishing skills and the importance of keeping estuaries and the ocean clean. 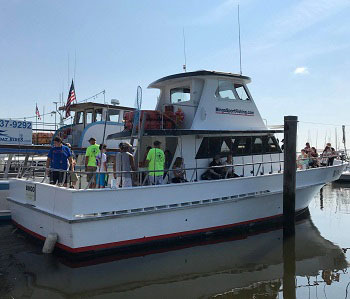 With the classroom portion completed, the kids put their newly learned skills to the test on Wednesday, August 8, 2018 on a free charter boat trip aboard the Bingo out of Atlantic Highlands. 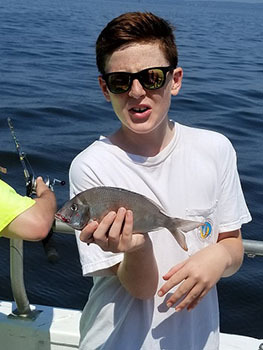 Under the guidance of volunteers from the IGFA and Father Time, and the helpful crew of the Bingo, the young anglers had a great day on the water experiencing firsthand the joys of reeling in fish and learning about nature in a hands-on environment. All participants in this year’s clinic will be included in the IGFA’s current initiative to teach 100,000 kids around the world to fish by the end of 2019, as part of the IGFA’s campaign towards its 80th Anniversary next year. The IGFA thanks all of the Representatives, volunteers and sponsors who were involved in making this year’s clinic such a success. We look forward to another great event next summer!